Wineberries (Rubus phoenicolasius) are one of the most abundant of summer’s brambleberries. In fact, they are often listed as an invasive species. 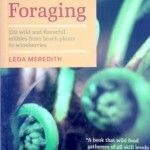 Luckily for foragers, they are also delicious. 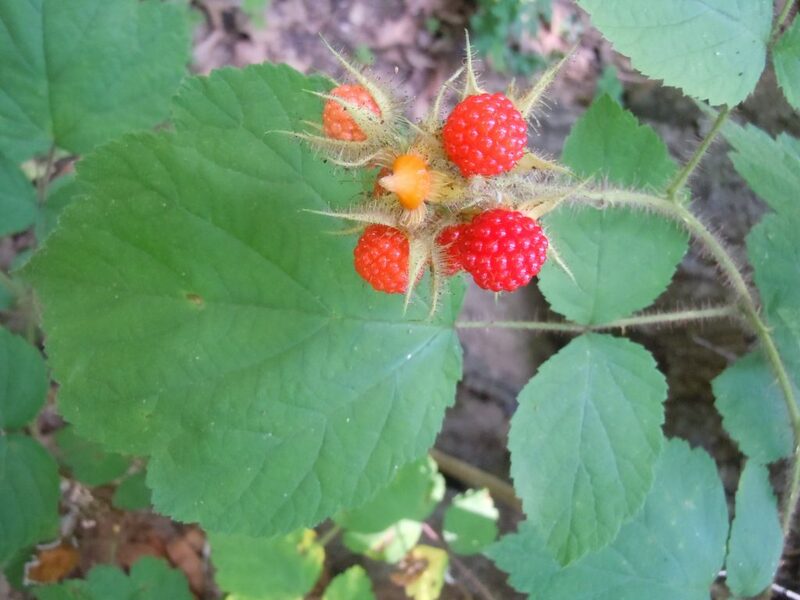 Wineberries are compound fruits like raspberries, but orange-red in contrast to red raspberry’s red and black raspberries dark purple. Your fingers will get sticky when you pick wineberries – consider that part of the ID. Although wineberry’s bristly canes aren’t as likely to scratch you as blackberry prickles, it’s still not a bad idea to wear long pants and sleeves if you know you’re going on a major wineberry gathering foray. Pick the fully ripe fruits (if you need to tug, the berry isn’t ripe) and place them in your collection container. Use a container rather than a bag so that the berries don’t get smashed in transport. The one thing that sounds obvious – making wine from wineberries – is something that I haven’t tried yet. If you beat me to it, invite me over to sample some, okay? An earlier version of this post was published on Mother Earth News. It’s hard to think of wineberries as a invasive plant, as I have planted them by choice in the garden and they’re no trouble! But I guess, left to their own devices, they could be like blackberries, which spread by themselves in the UK. But no one thinks to call them invasive… probably because they, too, are delicious!